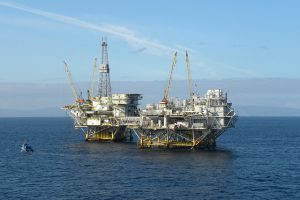 In January, the Bureau of Ocean Energy Management (BOEM) released its “America-First Offshore Energy Strategy,” as part of the 2019-2024 National OCS Oil and Gas Leasing Draft Proposal Program (DPP). While the Obama Administration’s 2017-2022 program opened up only 6% of total outer continental shelf (OCS) acreage to resource exploration and development, the 2019-2024 Program proposes to open up approximately 90%. The BOEM estimates the U.S. OCS has about 90 billion barrels of undiscovered oil and 327 trillion cubic feet of undiscovered, natural gas. If implemented, the 2019-2024 DPP would dramatically expand America’s capacity for offshore oil and gas drilling, yielding both economic and environmental costs and benefits. President Trump’s America-First offshore drilling policy is a departure from the Obama Administration’s, particularly with respect to CO2 emissions. Although the 2019-2024 Program has not released an Environmental Impact Statement, we can project the total magnitude of CO2 emissions will likely be greater than the 2017-2022 scenario since a much larger area of the OCS will be open for exploration and development. The significant uptick in estimated CO2 emissions may increase the likelihood of economic and environmental consequences. Additionally, with a larger area OCS open to leasing, the probability of an oil spill is likely to increase, especially in the Arctic where the OCS is more fragile. Despite the possible environmental consequences, the DPP does offer an economic boost. The American Petroleum Institute released economic impact reports for the OCS that estimate a total of $615.1 billion in GDP growth and $153.9 billion in federal and state revenue. According to the EIA’s Annual Energy Outlook, the DPP would place the U.S. as an oil and gas net exporter by 2022 notwithstanding the environmental and social costs. Ultimately, the economic costs and benefits of the Program will depend on the price of oil, advancements in technology, and the costs of developing offshore wells. It will be interesting to see if the predicted economic gains will offset the possible environmental and social costs of the DPP, as well as, if the administration will be able to overcome considerable implementation barriers from states who wish to protect their coastal waters for tourism. 1) What is your view on the benefits and drawbacks of the new DPP? 2) How will the DPP impact the future price of shale and the U.S. as a net importer? 3) How can advances in technology contribute to reducing environmental impacts, particularly in the Arctic OCS? 4) Do the potential economic benefits of the DPP outweigh the possible environmental consequences and loss of state/local tourism? Offshore oil resources are far from my areas of expertise, so I have more questions than answers about this. However, my impression has been that with the possible exception of the arctic, offshore resources are largely either played out or not economically recoverable at supportable oil prices. I’m not aware of any technical developments that would make a difference. And if the oil majors felt there was good potential in expanded offshore E&D, wouldn’t they have been pushing aggressively for it long before now? This feels more like a symbolic one-finger salute to the environmental movement by the Trump administration. Intended to bolster their pro-industry street cred, and stir up fresh controversy to distract from their ethics and legal problems. Just supposition on my part, but that’s what it feels like. Let’s suppose, however, that there really is a vast OCS resource waiting to be tapped, and that the cost would low enough to make it profitable. Even setting aside all the environmental concerns, it’s still not obvious that massive investment in OCS E&D would be good for the country. In case nobody has noticed, the US oil industry has accumulated a truly horrendous debt burden in the last few years. Oil prices may have recovered enough that the marginal cost of oil and gas production from tight formations is below the market price, but it’s not all that far below. If the market price sinks again, the cost of debt service will bankrupt a large portion of the industry. The last thing the country needs is a lot of new production coming online and depressing oil prices. The resulting wave of bankruptcies would swamp the economy. When are the API and the fossil industries going to accept that their time is up? They have challenged the scientific evidence and created confusion over climate change for the last 20-30 years. Now however, cheaper as well as cleaner technology is available that can generate our electricity and power our cars. Wind and solar are actually cheaper than the operation and maintenance budgets of fossil and nuclear electricity generating plants, and storage and the necessary software to build a flexible grid will soon be cost competitive too. California regulators now require PG&E, California’s largest utility, to use batteries or other non-fossil fuel resources to meet peak electricity demand. The sooner we stop looking for more oil and gas, the sooner we will transition to the clean energy economy. The choice is not just about the pollution that statistics show has damaged our health, or even just about competitive price. The choice means we can now `limit the destruction of rising seas and climate change’ if we act soon enough. The clean energy transition is inevitable regardless of the current government’s actions. Our fossil industries need to participate. As a Wag once observed, the Stone Age did not end when we ran out of stones and the oil age will not end when we run out of oil. It will end when the total costs–including social costs– of producing and consuming oil products is more than that of alternatives. Offshore exploration and production is not cheap and the costs of environmental accidents is enormous. Fortunately, the offshore record is quite good and the effects of oil spills is not permanent. Given that, the new offshore plan should go forward. Potential bidders for leases have to take into account the political reaction of onshore businesses and residents as well as state and local regulations along with the potential competition from onshore fracking production. Those realities and advances in technology for drilling and alternatives will act as constraints on the amount and extent of bidding. So, the bidding process will produce valuable information not only about lease potential but the outlook for alternatives. Bill: I’m glad you agree that fossil fuels should be judged by their direct and indirect social costs combined. While oil spills are an indirect social cost, the bigger and much longer-lasting indirect social costs are the climate impacts caused by greenhouse gas emissions that are a result of burning fossil fuels. Such impacts last for hundreds to thousands of years and will likely cost many trillions of dollars. Since you agree that indirect social costs should be included in the decision process of whether to use fossil fuels or not, the best way to do that is to implement a fee on the carbon content of fossil fuels. Unless such indirect (“external”) costs are incorporated into the price of fossil fuels, they will be ignored. I’m glad to hear that you agree that they should not be ignored. Dan, you and I have been down this road before and we take different forks in the road. The problem with your recommendation is that the attribution of the human impact has not been sufficiently identified nor have estimates of climate sensitivity become more accurate. The range still varies by a factor of 3. Assumptions built into models have to be validated before they should be used to impose costs on society. There are costs and benefits but you always seem to focus on costs. What about the benefits? Bill: The attribution to human impact is about as strong as it gets in science, though no level of uncertainty (which there will always be, given this is science) will satisfy you personally. I know you like to focus on climate sensitivity and, again, you like to talk about uncertainty. There still is a consensus that the central value is about +3ºC and recent research suggests it could be higher. But since there is uncertainty and the results of a high value (and even a low value) could be catastrophic, we should assume a high value (or at least the mid-value) and take action now to protect our children. You also don’t need any sensitivity value to know that we have warmed to +1ºC already with an upward trend that is quite worrying. While there are some benefits to using fossil fuels, alternatives are now available that are cheaper and cleaner, or that will be cheaper and cleaner soon. The benefits of using fossil fuels (somewhat lower cost in some applications) are fleeting, but the costs remain for hundreds to thousands of years. It’s unfair and immoral for our generation to take advantage of the fleeting benefits and shift all the long-term costs to our children and future generations. Dan, these exchanges go no where because while you acknowledge uncertainty, your views reflect a level of certitude and belief in models that are unjustified. The range for climate sensitivity remains a factor of 3 with the upper bound having been lowered and estimates of natural variability have not narrowed. The solid estimates of human attribution are model results, nothing more. As for your statement about alternatives, the cost of producing solar panels has declined but the cost of producing electricity from wind and solar hasn’t when backup is taken into account. That explains why Germany is in full retreat and why advocates fight to keep their subsidies. Let’s just agree to disagree and do something more productive with our time.